[ShiroPro] Who should I raise for the future? Thread: Who should I raise for the future? Who should I raise for the future? Tried a game in current event. VPN issues is the same as seiken manifesta (VPN only needs for start). My account is old and didn't play long time. Now found some free and half price gatcha. Got many new faces and some type of castles, that don't know the roles. Which one is good for develop for future playing? What is the purpose current event Kyubei "upgrade material"? Last edited by Folseus; 10-24-2018 at 09:41 PM. 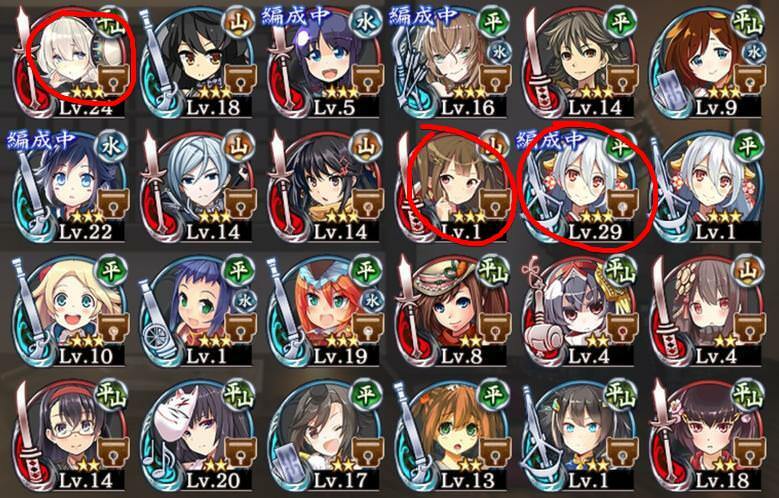 @hidahos Kyuubey is used for EXP for collaboration girls only. My recommendations overall. I'm the type that levels a lot of different girls to use, but I recommend the bolded ones for sure if you can only level a few. ★7s are strong, even if they are the free ones. Maeda-Kanazawa, the white haired sword, has knockback with her skill, which is really useful. Takeda, the Talisman, is pretty strong and has some good utility with her Kai. Otherwise basically the best Talisman you have which is useful for slowing enemies in some strategies. Shirakawa-Komine is a crossbow with knockback on her skill and good buffs for ranged too. Not useful on every map, but a good crossbow. Nagashino is one of the best guns in the game. Her tokens are gunners that shoot three times with each attack and they have knockback. Even if you're not very high level, her tokens can at the least knockback enemies. This means if a round is going long, you can end up summoning lots of these tokens, and it can keep a single enemy knocked back literally forever. Warwick is an ok shield. Sant'Angelo is also good too. Kasugayama has a ki generator which is typically always useful. She's also decently strong. Kiyosu is kind of niche. Her stratagem lets her change a tile into a mixed Red/Blue. It can get expensive, but it allows you to do strategies that are otherwise impossible. You can combine it with Nagashino to block out bosses that you otherwise would never kill easily. Hamada is one of the best Bells. She has a strong debuff with -ATK/DEF, and her stratagem gives increased ASPD and reduced Delay in an area while it's active. Oozu and Gujou-Hachiman seem to be your only hammers. They're not exceptional, but decent. Oozu has a regen stratagem which is ok for healing. Gujou-Hachiman has an area of effect speed buff stratagem which is rare and strong and doesn't need a tile like Hamada's. Heiyou/Pingyao is a really strong Fist for being a ★5 because of how much attack her skill adds. She's really strong even at low levels if you max her because she suddenly does +300 damage. Sayaka is pretty decent. She can buff herself to do pretty good DPS even if it's single target, and you can save her to place down to heal everyone if you want instead. Shikano and Yanagawa are really easy to get and their tokens are ki generators. 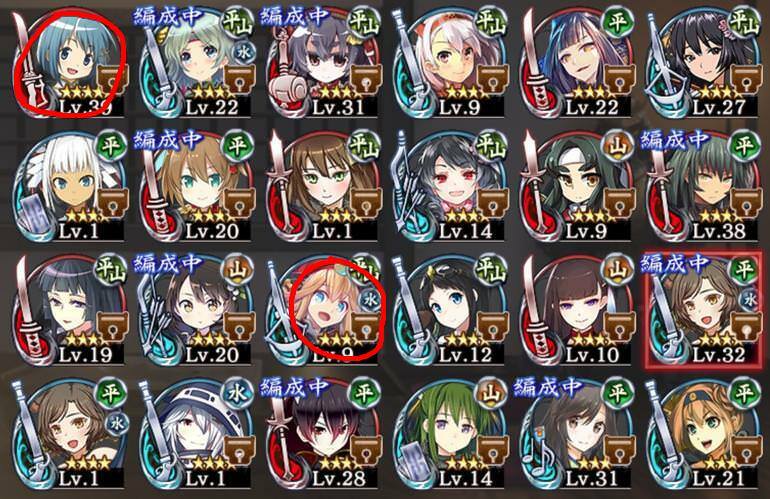 Your parties should most likely have at least one ki generator on the team, so you can be flexible with either Kasugayama, Shikano, or Yanagawa. Yoita has a 1.5x ATK buff, so she can be useful to buff a stronger castle, even if you don't use her to do any fighting herself. 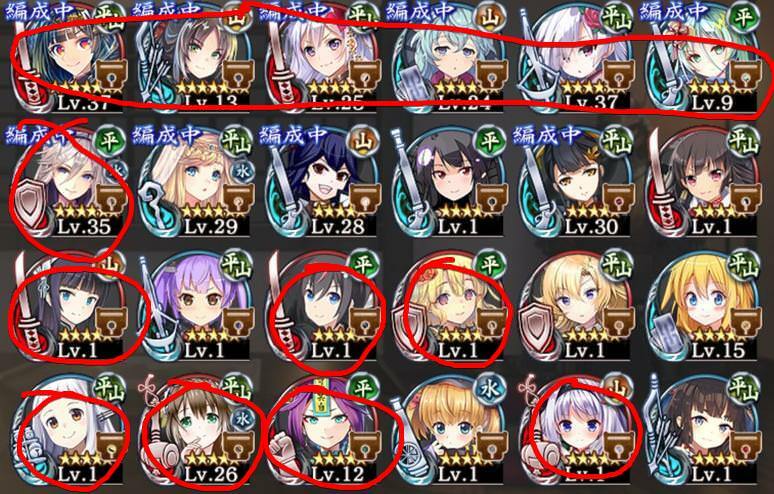 Is it worth to use characters with this skill? They have to tank those stopped enemies and that is not an easy task. Blockers are situational, but very important in some cases, mostly to keep high-hp bosses from just walking past your dps. For blocking very high attack enemies it's true that relying on skills or strategems can be riskier than using an actual shield, because even with the defense bonus from, say, hagi's strategem it's difficult to match the defense of a shield, especially once you consider the shield's own skills and strategems. In your case, I expect that Warwick should be enough for now.